Who is Greatheart / RML? Greatheart consulting is a diversity and inclusion consultant located in the greater Seattle area. They specialize in helping businesses grow awareness, build systems, and implement programs to increase retention through diversity and inclusion company wide. 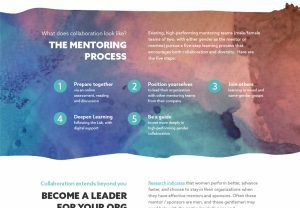 The Reciprocal Mentoring Lab specifically targets issues of retention, promotion, and mentorship for women in director-level leadership positions. RML was a new program for Greatheart, and they needed some complimentary branding for their new venture. 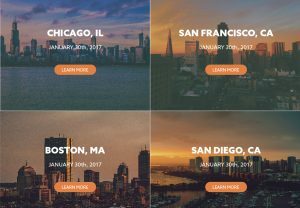 The labs themselves are events that take place all over the country, and Greatheart wanted an easy way for people to learn about, and sign up for, their events. Branding the RML was a fun challenge. Greatheart, as the parent company, had existing branding that RML needed to compliment, while also standing on its own and reflecting it’s own unique story. We created a logo and brand package for them that helped reflect the RML’s vision of gender equality, while also complimenting Greathearts greater brand. The RML website became an extension of the vision of Greatheart, and a reflection of the new brand. 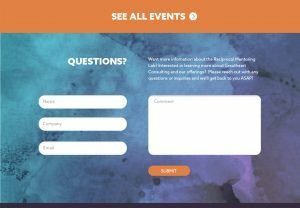 We worked with them to help create content that would not only inform their audience of RML’s vision, but be an easy portal for their clients to be able to enroll in their program. Simplicity and ease of use was also top-of-mind for us as we built this site; using tools and platforms that made it easy for them to manage and expand on the site down the road. We are so proud to get to work with such a wonderful client, and produce work that we are really proud of. The logo, brand and website not only reflect the thoughtfulness and vision of RML but can be a boon for them and their business. We look forward to a long and wonderful relationship with RML and Greatheart consulting!